90 seconds to sum and make most of Fourteen to score higher than your friends! Simple and addictive: slide your finger over numbers to sum them! Fourteen is a multi-player turn-based game. You play with your friends or with a random player. Forget letters, play with numbers now! Want to play? 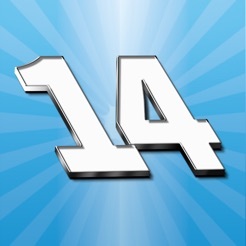 Then download Fourteen right now! * First, you choose your player name. * To start a new game, select random or enter a friend name. 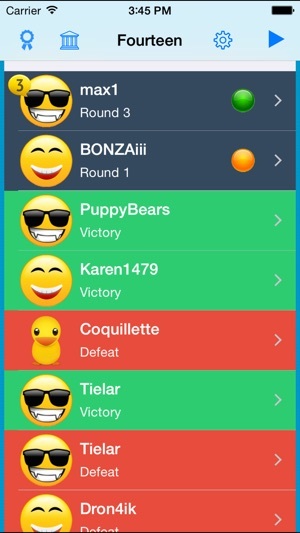 * A game has 3 rounds: in each one, you have 90 seconds to find as many Fourteen as possible! * 4 different bonus are available to help you to set higher scores. * After the round, you can see all combinations of Fourteen you found and those of your opponent! * You can play your turn when you want (maximum 7 days). 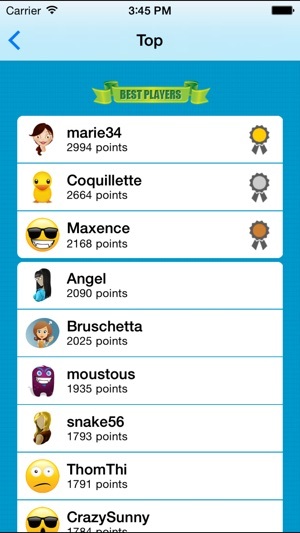 * You can defy your friends via Facebook, Twitter, Email, user-name or play randomly against one of the other players. * Many avatars to choose. * You can see the top players. See all the 10th best players of the world. * Some of the numbers have bonus. There are 4 bonus: number x2, number x3, sum x2 and sum x3. * Example: you have made 14 with the combination of 6, 6 and 4. 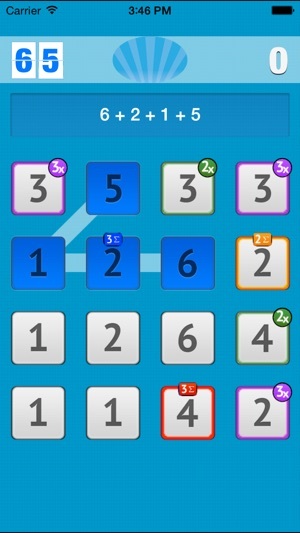 If 4 has the bonus "number x3", the score of your combination is 6 + 6 + 4x3 = 24. * A training mode is available to improve your math skills.